It is crazy to think I am writing Aria's one week update! It's been a busy week of visitors, kisses, cuddles, dirty nappies and sleepless nights! We've had some highs and lows, but it's been the most incredible week of my life and I feel so grateful to have such a perfect little girl, and the most amazing husband, family and friends. 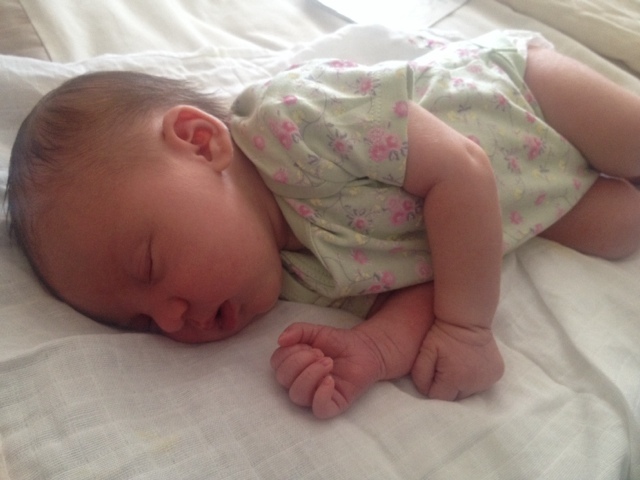 I will get round to writing my birth story soon, but for now I will tell you a little about Aria and her first week. Recovery has gone surprisingly well. I had a couple of stitches so was pretty sore from those, but by day 4 the pain had really eased off and I was able to move about a lot easier. Emotionally I did have those day 3 and 5 'baby blues', where I would cry at pretty much anything! That was the stage everything really hit home, and the sleepless nights and labour had caught up on me. Thankfully I have an amazing husband and mum, who allowed me to have some 'me' time and go for a bath while they made sure Aria was ok. I gave birth to Aria on Saturday night, and was allowed home Sunday morning as she was latching on really well and they had no issues with either of us. Some may think that's a bit soon, but I felt really good and was happy to head home with my little family! I'm really pleased with how my body has recovered, and I fitting back into my pre pregnancy leggings! Not quite jeans yet as there's still a good bit of jiggle, but I think that breast feeding has helped my tummy get back to a normal-ish shape. I weighed myself this weekend and am 15lbs off my pre-pregnancy weight, which I think is great! But to be honest, getting back in shape is the last thing on my mind right now. I'm making an effort to eat healthy, but that's more for breast feeding than my figure - that can certainly wait! As for Aria, here is a little about her first week in the world! Aria weighed a chunky little 8lb 5oz when born, but I think most of that is in length! We haven't had her measured by the midwife, but we did it ourselves and she is around 20cm! 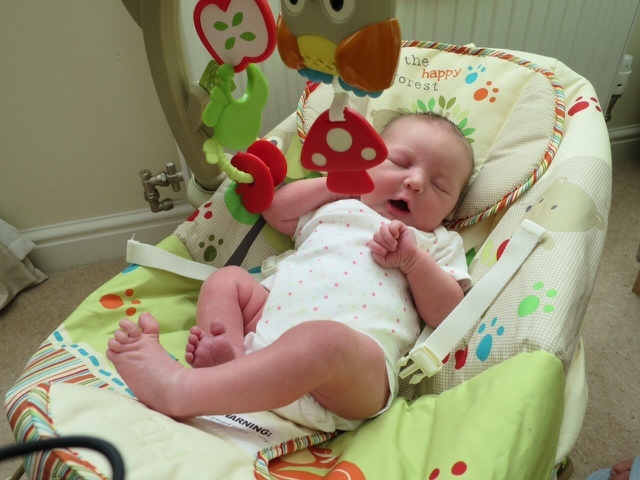 She was weighed again on Wednesday (day 5) and she had only lost 30g of her birth weight! This is fantastic as it is the minimum amount of weight loss, meaning she is getting plenty from breastfeeding - a massive reassurance for me! As expected, we don't quite have a routine in place yet! But as first weeks go, she has been pretty regular with feeding every 3 hours or so, unless she is having a little hungry moment where it may be every 2 hours. We usually take her up to bed with us around 10:30/11 where she has a feed, and this can last until around 1/2 depending how hungry she is feeling! I will usually do this next feed, and Tom will do the next with one expressed bottle. We are going to keep this one bottle at night in our routine as she usually sleeps for 4 hours after it! It gives Tom some bonding time, as well as giving me a little sleep! As mentioned, Aria is waking around 2 times a night for a feed, but there has been the odd night she wakes up just a but unsettled. After speaking to my midwife, she did suggest using a dummy in these times, just to sooth her back to sleep if she is fed and has a clean nappy. I wasn't overly keen on this, but it really seems to help her - so if she is happy, we are! Again as mentioned, I am breastfeeding but have introduced an expressed bottle to our night feeds, as it helps her to sleep longer. This bottle is around 3oz and she gobbles up the lot! She certainly doesn't have a problem feeding, and she latches on really well. I'm getting more confident feeding her in front of others too, rather than nipping up to the bedroom when we have visitors. Aria is still in newborn and up to 1 month clothes, but as she is so long I can't imagine this being for much longer. She is also wearing size 1 nappies. We just use the Pampers range, which I cannot fault. We had our first bath the other day which went great! There were a couple of tears at first, but I really think she enjoyed it! She will have another bath tonight so hopefully she will enjoy it just as much. Another milestone is her cord came off today! It was looking a little funky the other day, but my midwife checked it over and said it looked ready to come off, and it did with this mornings nappy change! We had our first outing today to the local village fayre. I was really nervous about taking her out, but we had such a lovely day and it was great to get out in the fresh air. She was good as good and even let us have a little vino at the pub! I think that is all for our first week. I really appreciate all the lovely comments and tweets I've had from you all! 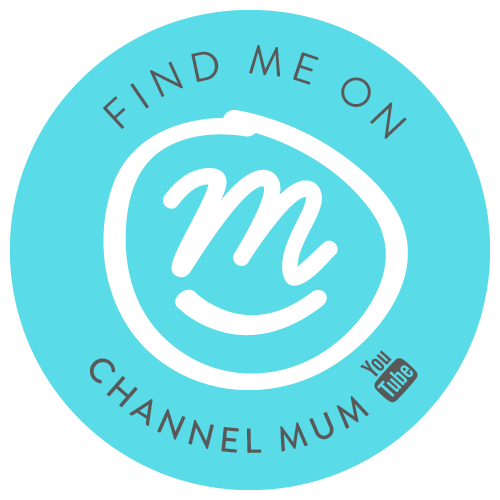 Especially those tweets where I have needed a little vent about my worries - I love the blogging community so much because of the amazing support from readers and fellow bloggers :). Thank you for continuing to read about our life as a new little family, and I can't wait to see what week two brings! Hopefully I will have my birth story up next week, so keep an eye out for that.